With the festive season rolling around, we aren’t counting calories but we are counting steps! 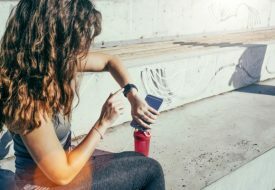 That sounds like a job for the Actxa Spur+, the all-new digital wearable that empowers any average Joe, like you and I, to be in better control of our fitness levels and health! 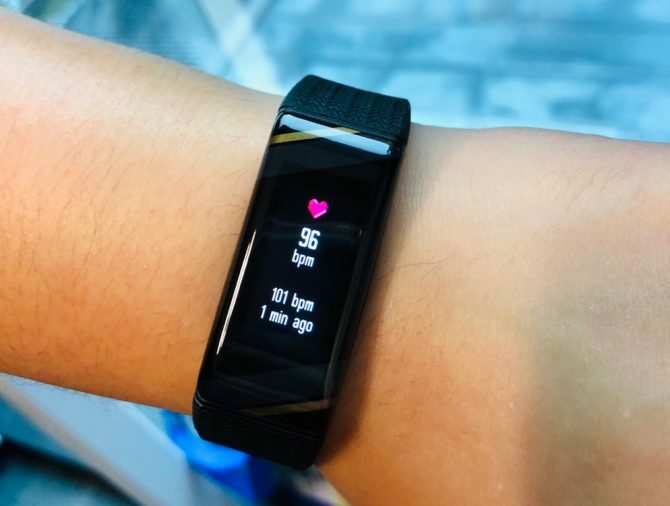 Not only does the Spur+ include a pedometer, it also comes with All-day Heart Rate Monitoring, so that whether you are at rest or sweating it out at the gym, it gives you immediate feedback on what your heart is saying. Keep tabs on your steps, heart rate zone, distance covered or calories burnt, this little piece of wearable tech keeps you accountable for your health! The Spur+ showing my heart rate after my powerwalk from the MRT Station to the office. 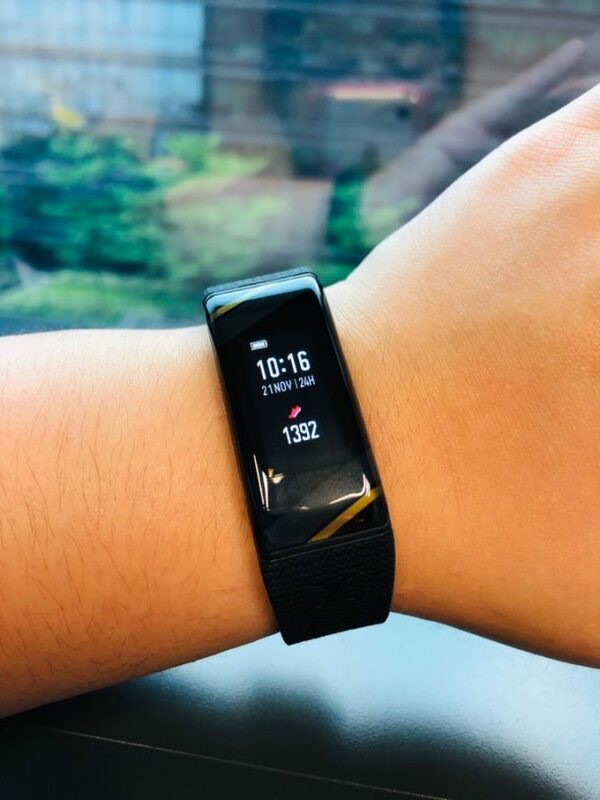 The Spur+ also comes with one of my favourite features, Move Alert, a gentle buzz on your wrist when you’ve been sitting down for too long, to remind you to get up and take a walk! It’s especially useful for people, like me, who are confined to our desks for the most part of the working day; how convenient it would be for the Spur+ to remind us to get up and stretch! 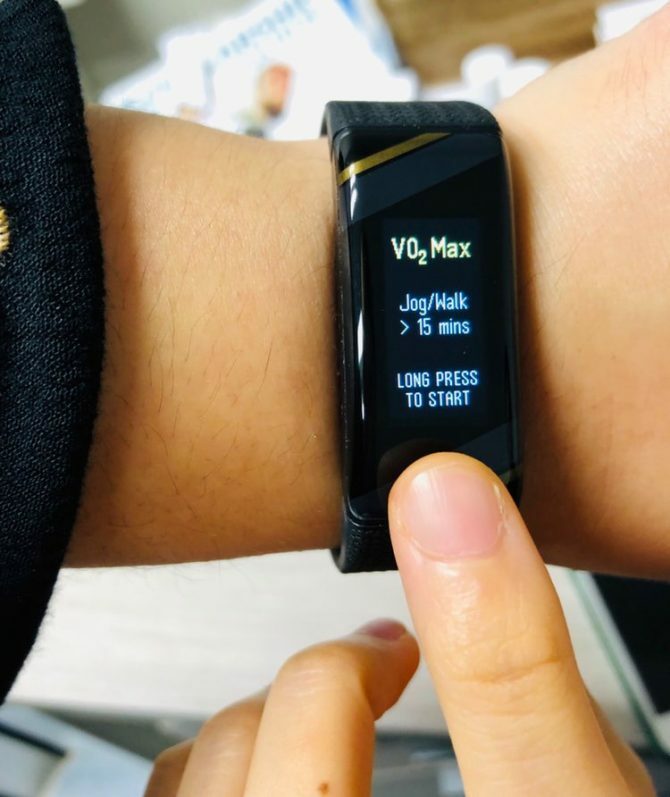 If keeping to your new year fitness resolution is something you want to achieve in 2019, the Spur+ also has a VO2 Max monitoring feature that tracks your individual cardiorespiratory and aerobic fitness levels, so you can plan your personal workouts and monitor your progress at the same time. 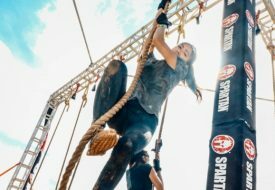 It describes your body’s ability to bring oxygen into your body through your lungs, transport it through your blood supply to your muscles, and use it as part of your body’s most efficient energy production method. According to a white paper by Firstbeat Technologies, an individual’s VO2 Max decreases by 1% every year after the age of 25. 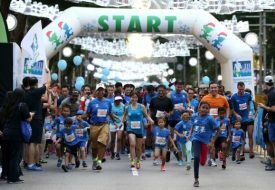 However, individuals can actively improve their VO2 Max regardless of age, by engaging in regular exercise to maintain fitness performance and endurance for overall health and well-being, longer work ability, better quality of life and longevity. 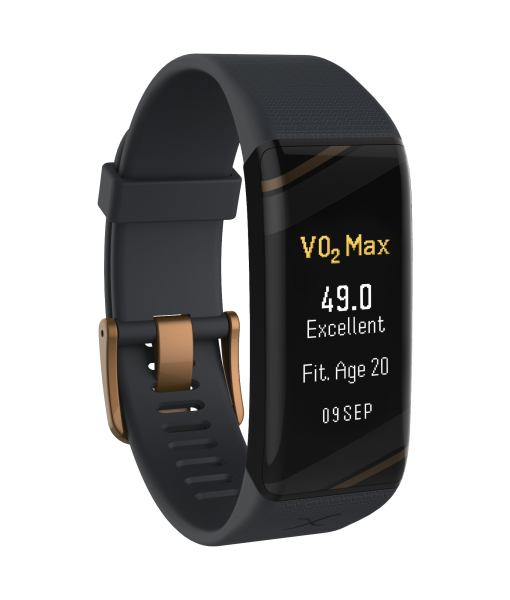 With the all-new VO2 Max feature, the Spur+ is also able to determine an individual’s Fitness Age in comparison to their chronological age. The higher the VO2 Max, the more aerobically fit a person is, and the lower their Fitness Age is. With all this data and information effectively synchronised to the Actxa mobile app, you’ll be surprised at how easy it is to use the interface to view and track your data as actionable insights!